Campaign I OWN ME is a grassroots street level poster campaign addressing the fact that domestic abuse can affect anyone regardless of race, religion, gender, sexuality or financial/social status, and striving to alleviate the stigma surrounding victims. I OWN ME aims to highlight that abuse takes many forms beyond physical violence, but it also shines a spotlight on the message that abuse is not a life sentence and that we can all reclaim the power of self-determination! 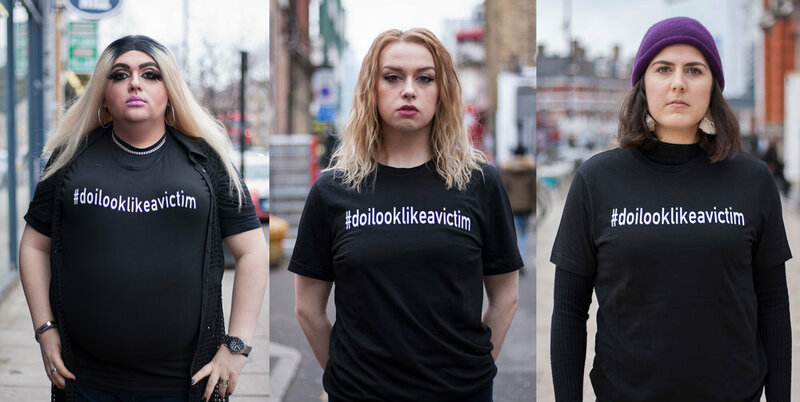 The public are invited to be photographed sporting the hash tag t-shirt #doilooklikeavictim, making the point that nobody does as it could effect any one of us. Sharing experiences, both positive and traumatic, is a crucial tool in erasing the stigma surrounding victims of domestic abuse and aiding the healing process. Victims are not stupid, uneducated and weak, they are people just like you and I, respected, successful and intelligent.